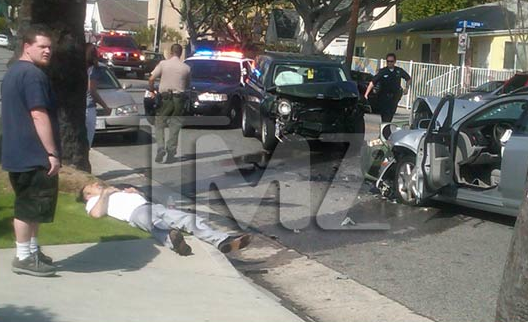 David Arquette was just in a head on car crash on his way to the airport. He swerved into oncoming traffic when trying to avoid crashing into the car in front of him the suddenly stopped. David has been transported to the hospital via ambulance. The other driver was injured as well. You can check out video from the scene at TMZ.